so why should it work that way online? With BlackCart, you have access to millions of items from all of your favorite online stores. Just open a store you want to shop from via the stores page, and start shopping! Add clothes to your cart as you normally would. Once on the shopping cart page, you will have the option to checkout with BlackCart. Our dressing room is your home. Your picks are delivered 5-7 days after placing an order. You’ll then have 5 days to try everything on and decide what you want to keep, and what you want to return. Only pay for items you’ve tried on and decide to keep. For unwanted items, just use the provided return label to prepare your returns - we’ll come pick up on your schedule and take care of the rest! BlackCart is 100% free to use! Instead, we make money from retailers who pay us a commission for sending them customers. BlackCart is free to use - no fees, no subscriptions. For items that you keep after you've tried them on at home, you will be charged the original price listed online (including any taxes, discounts or promo codes you provide at the time the order was placed). What’s the difference between BlackCart and StitchFix / TrunkClub? BlackCart is made for people who know what they want. We won't have a stylist make your picks for you. Try whatever you want from brands you love. We also don't charge any fees, and you won't be forced into a subscription. How does BlackCart make money? When you shop using BlackCart and later decide to keep something, brands pay us a small commission. This way, we can always keep our service free for you. Does using BlackCart affect my credit score? When you place an order with BlackCart for the first time, we place a soft credit check to determine the level of associated risk. This does not affect your credit score, and does not have a negative effect on your overall credit. Results of our credit checks are also never shared with third parties. However, when items are kept and not paid for, this information is shared with credit reference agencies, so a late payment could damage your credit score. 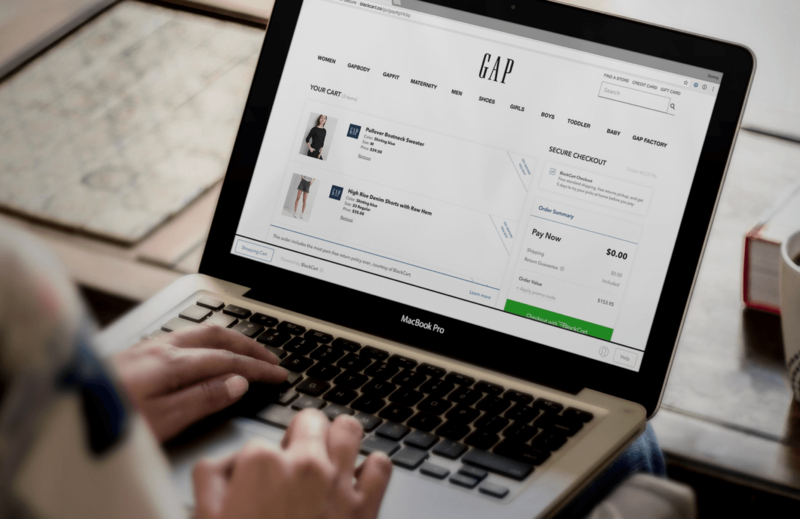 Does BlackCart require a minimum purchase amount to use? You can purchase as much or as little of the items that you decide to try - there is no minimum purchase amount when using BlackCart. For some stores, you may be asked to add a minimum amount to your shopping cart to try. If a store has a minimum try amount, you can find it on their shopping cart page. The most pain-free return policy ever. Whenever you shop with BlackCart, you'll always enjoy the most pain-free return policy ever. Try all of your picks in the comfort of your home for 5 days, counting from the day that they're delivered. We won't ask you to pay upfront. For anything you want to return, use the provided return shipping label we'll take care of the rest. No hassle, no fees, no problem. Whatever the case, you only pay for items that you've tried on and keep! During the 5-day Try period, go to your return portal and select 'keep' or 'return' for each item. Print or use the provided pre-paid return shipping label to package your return box. Drop off your return package at the closest post office. We'll handle the rest! Are there any return restrictions? Feel free to try everything on at home, but please do not wear them out. Items can't be returned if they are worn out, damaged, or have their tags removed. Can I return items myself in-store? Unfortunately, no. Items for return must be returned via mail using our provided pre-paid return shipping label. When going through the returns process, it's important to make sure that whatever you've selected to return is exactly the same items that you've placed in your return package. However, mistakes happen! If you happen to have returned the incorrect item(s), or your return submission is inaccurate, please get in touch with us right away. If we received a return package and an item doesn't match, we'll consider it as a 'kept' item and ship it back to you. The value of the items, and a $15 service fee my be applied.